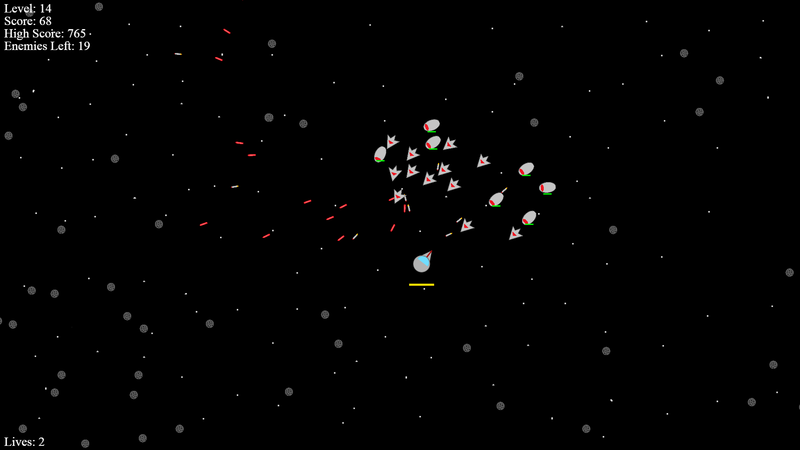 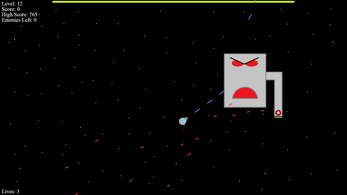 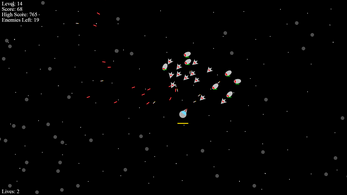 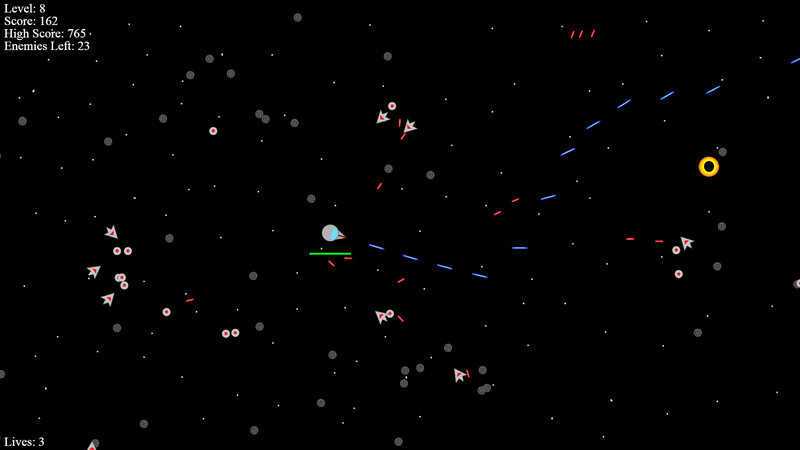 This game is a space shooter where you have to destroy the other spaceships before they ram or shoot you to death. 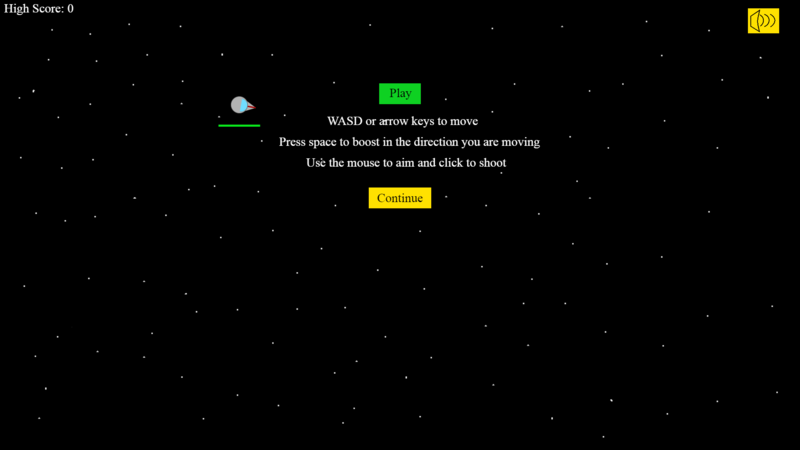 To aim you move the mouse and to shoot you click. 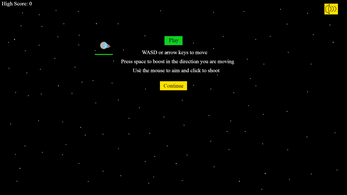 To move WASD is recommended but the arrow keys also work. 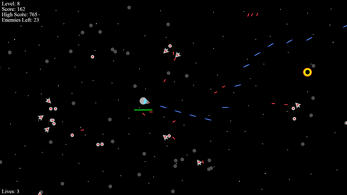 Pressing space will give the player a dash in the direction you are currently moving.